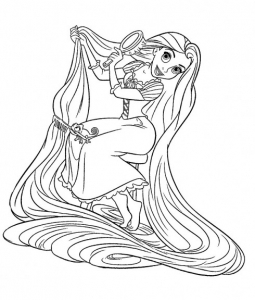 Tangled is the 50th “Great Disney classic animation movie”. 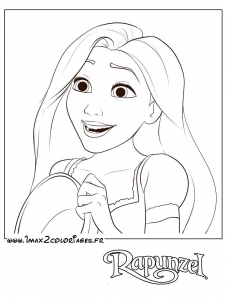 Released in 2010, it is based on the German fairy tale Rapunzel. 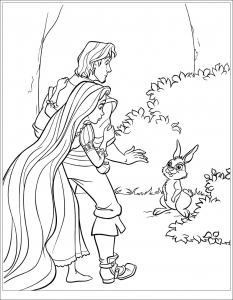 It is part of Grimm’s fairy tales. 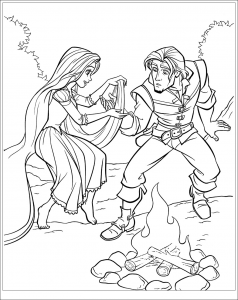 The Disney version differs from the original, in which the Prince loses his sight after a trap set by the evil witch. 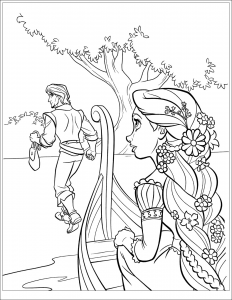 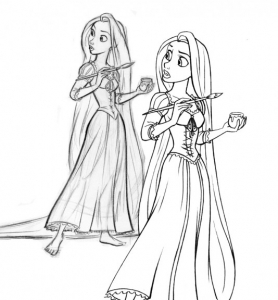 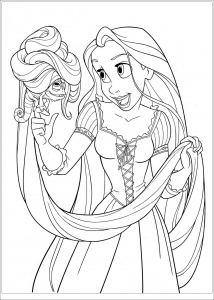 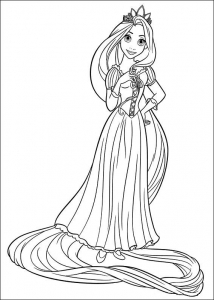 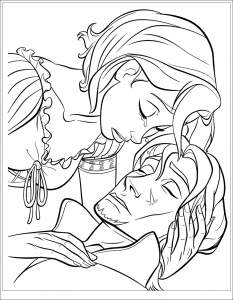 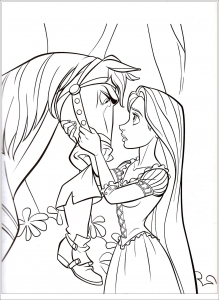 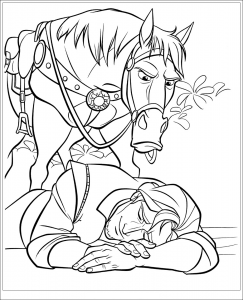 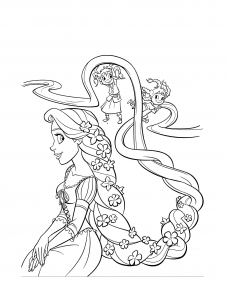 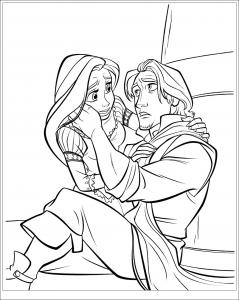 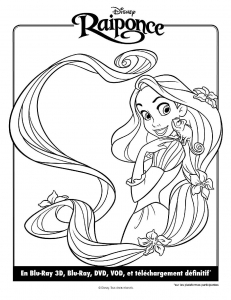 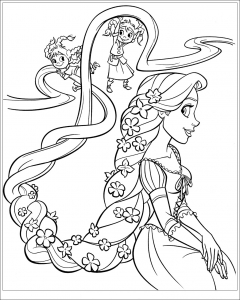 Find in this gallery Tangled images to print and color.